Excellent views of sea and mountains from roof terrace where there were plenty of sun beds , area very clean with plenty of plants making the area an excellent area to relax . Room clean and well furnished . Word or warning for those staying in the peak times possibility of noise coming from bars etc located in Cavana plaza . The sea view was lovely but it would have been nicer if we had a terrace, we had a Juliette balcony. The location was very central with plenty of places to eat and drink nearby. It was within walking distance of beach. Location and very clean throughout! The early morning view was lovely also. Central location brilliant with a balcony to see what was going on. Solarium nice. Room quiet when windows closed. Beautiful roof terrace. Really central. Staff was so lovely and helpful. Could not have ask for more. We will be back! Apartment was fantastic, very clean and comfortable with amazing views from roof top terrace. Staff were really lovely and very helpful, also excellent location for bars restaurants etc. 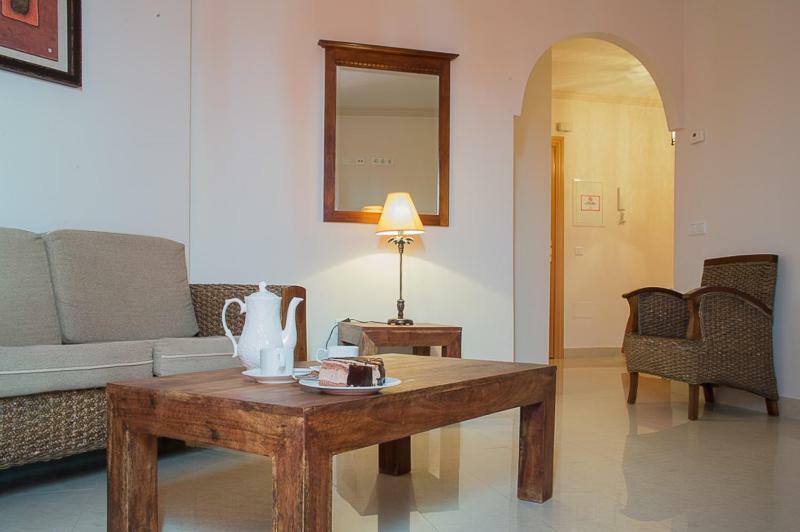 Lock in a great price for Apartamentos Plaza Cavana 5 - rated 8.9 by recent guests. 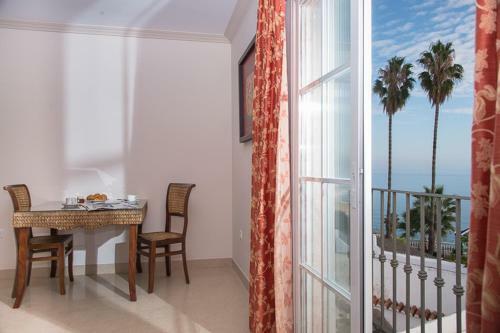 One of our top picks in Nerja.Offering fantastic sea views, these air-conditioned apartments are located close to the beach and the Balcón de Europa viewpoint. 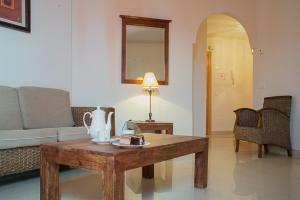 The property has a terrace and an outdoor pool overlooking the sea. 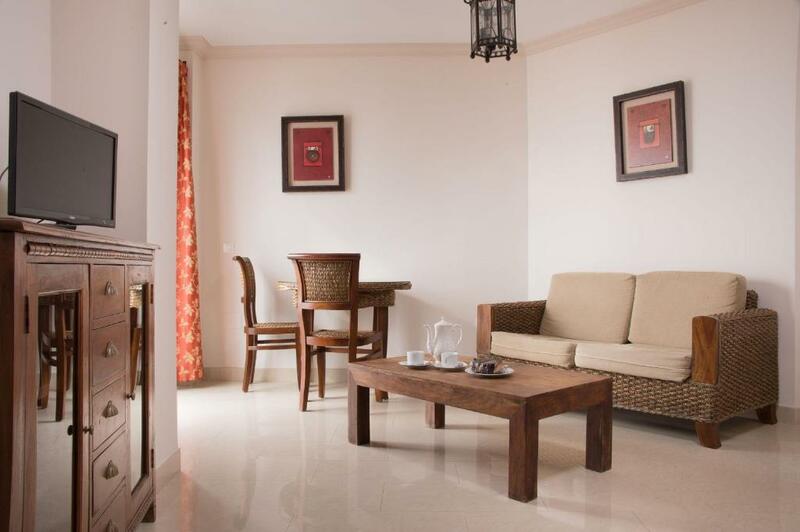 Apartamentos Plaza Cavana 5 features bright and comfortable studio apartments with free Wi-Fi. Each of them includes 2 single beds or a double bed, a lounge area with sofa, TV, a well-equipped kitchenette, and a private bathroom. Some studios have a terrace and some others feature fantastic sea views. Numerous bars and restaurants serving national and international food can be found nearby. You can also walk to the centre of Nerja in about 5 minutes. 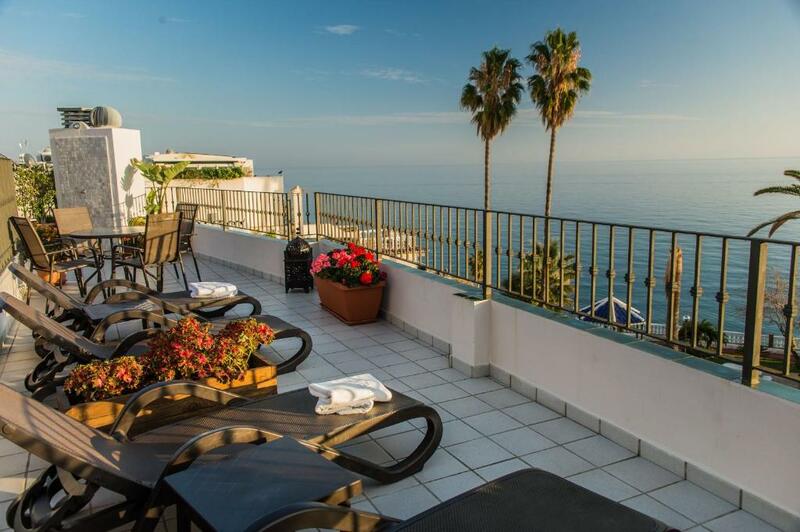 This property is also rated for the best value in Nerja! Guests are getting more for their money when compared to other properties in this city. 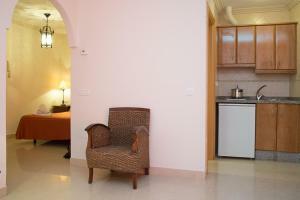 Apartamentos Plaza Cavana 5 has been welcoming Booking.com guests since 11 Jan 2013. When would you like to stay at Apartamentos Plaza Cavana 5? This apartment has air conditioning, tile/marble floor and kitchen. This apartment features a seating area, tile/marble floor and kitchenette. 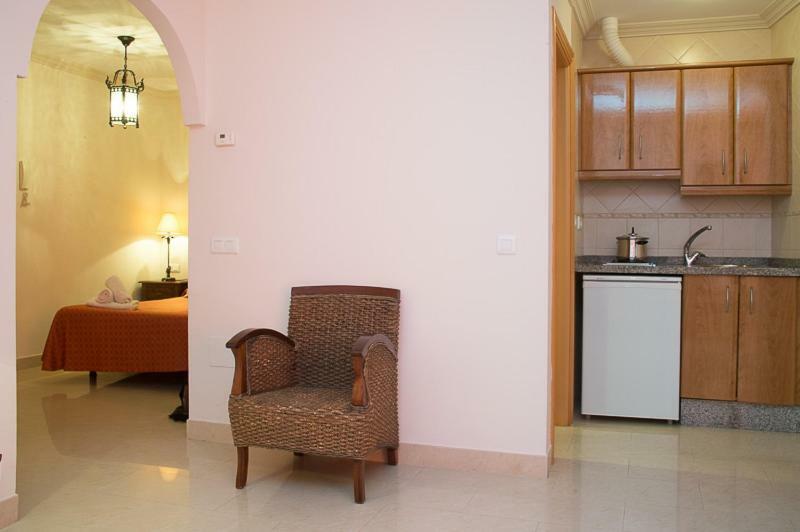 This apartment has a microwave, tile/marble floor and seating area. This apartment features a flat-screen TV, kitchenette and balcony. This apartment has a sofa, kitchenware and air conditioning. This apartment features a dining area, sofa and tile/marble floor. This apartment has a seating area, air conditioning and microwave. This apartment features air conditioning, kitchenette and sofa. 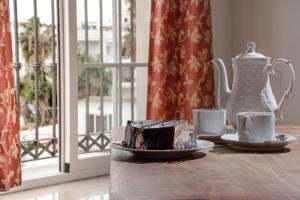 The property is built over 3 floors with 2 floors of accommodation and the top floor being dedicated to a very large, private roof terrace with pool, for the exclusive use of our guests. There is lift access from the entrance to all of the apartments and the terrace. The roof terrace offers superb views to the sea, mountains and views down to Plaza Cavana, which includes the church of El Salvador and connecting to the famous Balcon de Europa. There are tables and chairs available to sit and relax in, sun loungers and for those wanting to enjoy the sun, umbrellas, a shower and a swimming pool to cool down in. We have come to Andalucia in 2014 and are live here ever since. 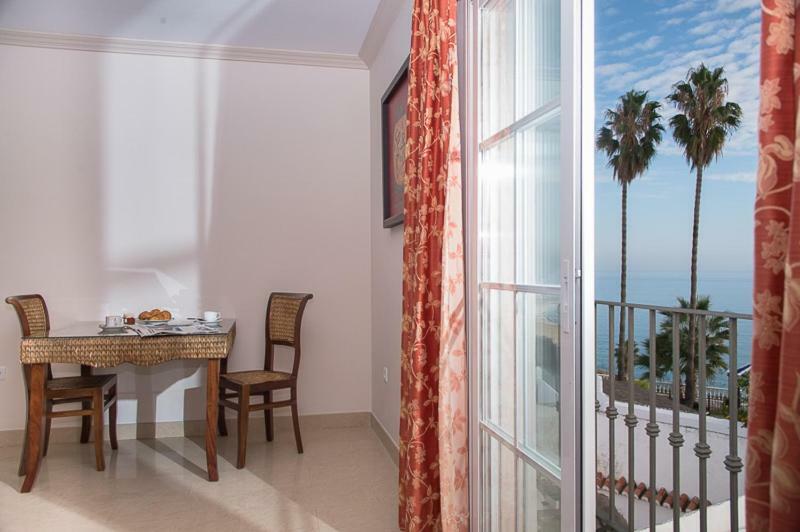 In 2015 we have taken over Plaza Cavana 5 from the previous managers and are happy to welcome guests from all over the world to Nerja. 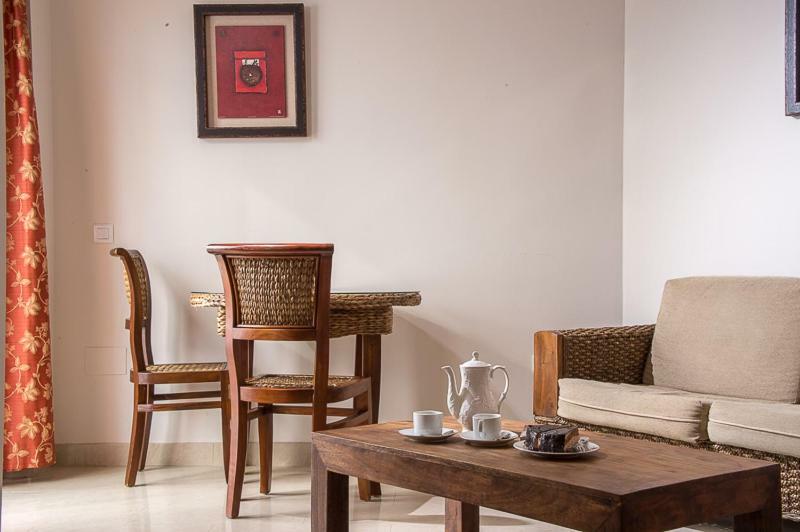 Even though our apartments do not have a reception area we meet most of our guests on arrival to hand over the keys and make sure they have everything they need. 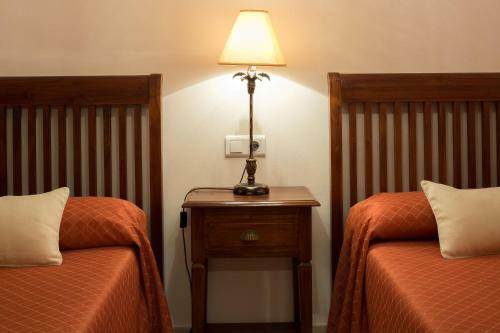 Also we are reachable around the clock to provide assistance in cases of emergency or help with the little things throughout our guests vacations. Many guests have left our apartments as friends and we are looking forward to meet them again. Nerja, on the Costa del Sol is a seaside resort of sandy coves sheltered by the impressive Sierra de Almijara mountains and often referred to as 'The Jewel of the Costa del Sol'. A temperate climate means that Nerja is a great place to visit any time of the year. Nerja is one of those magnificent 'secret' towns that people return to year after year for wonderful memorable holidays and short breaks. It offers a rich mix of historical culture, lovely beaches, wonderful shopping and a whole range of relaxing restaurants, bars and cafeterias to sit and watch the whole world go by. It also has many festivals and fiestas where the local community wholeheartedly celebrate in traditional dress to parade and party through the village streets. Some of the more famous festivals are San Isidro in May and San Juan in June. Any of the festivals in Nerja are a wonderful opportunity to relax and enjoy the fiesta. Nerja boasts 16 kilometers of beaches with powdery sand sparkling clear water. All major water sports are available here, including water skiing, scuba diving and sailing. House rules Apartamentos Plaza Cavana 5 takes special requests - add in the next step! 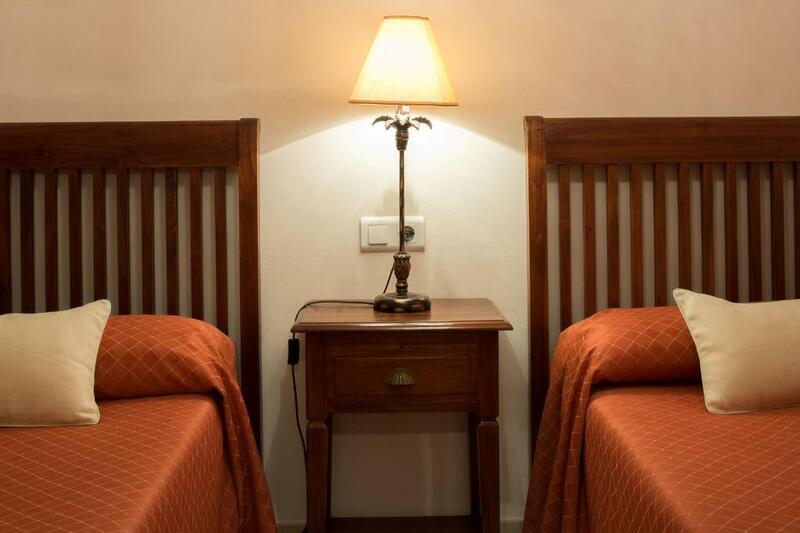 All further adults are charged EUR 18 per night for extra beds. Apartamentos Plaza Cavana 5 accepts these cards and reserves the right to temporarily hold an amount prior to arrival. Please inform Apartamentos Plaza Cavana 5 in advance of your expected arrival time. You can use the Special Requests box when booking, or contact the property directly with the contact details provided in your confirmation. WiFi unable to connect . This however could have been down to my lack of knowledge of mobile phones . The noise from the building site next door that the owners conveniently forgot to mention when we booked or prior to our arrival. Had we known then I would have booked alternative accommodation. There was building work going on next door but nothing this property could do about that. A balcony with the sea view would have been perfect so we could eat outside while enjoying the view. Not enough information prior to departure with directions to the appartment. Had to phone two days before departure to find out about keys etc, no one had contacted us either by email or text. The location was excellent. Appartment clean and tidy. Felt the room could have been cleaned more than once in the week , it would have been helpful if somebody was there to meet you on arrival.